This 70 year old industrial building was selected by the brewer to facilitate his expanding business. In addition to the challenges associated with placing new uses in old structures, the old world production techniques utilized, require a specific layout of work spaces. The layout had to support current brewing processes while allowing for ongoing expansion. 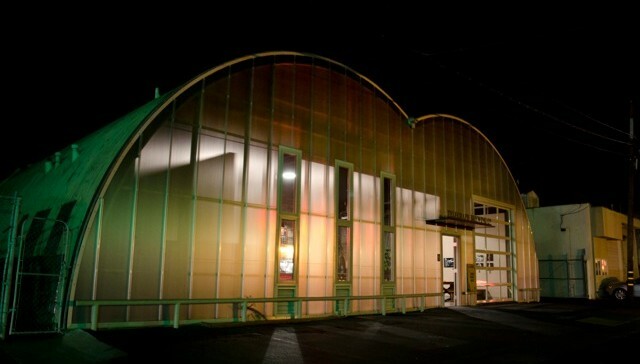 Public areas face the street and incorporate a translucent, poly-carbonate facade, which aesthetically maintains the neighborhood’s industrial character while washing the interior with natural light by day and announcing its presence with a uniform glow by night. The facade material is light weight, durable, insulating, and cost effective.